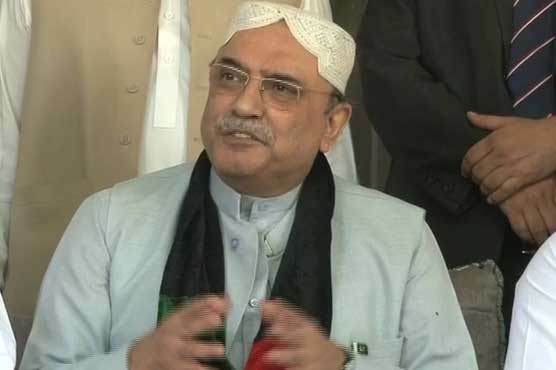 Islamabad: Islamabad High Court (IHC) on Thursday postponed hearing of a petition seeking disqualification of Pakistan People’s Party (PPP) co-chairman Asif Ali Zardari on accusations of concealing his assets in New York. The IHC’s registrar office is expected to fix the hearing of the petition again. On Tuesday, Pakistan Tehrik-e-Insaf (PTI) lawmaker Khurram Sher Zaman and the incumbent Special Adviser to the Prime Minister on Youth Affairs Usman Dar appeared before the court to file the petition. However, the court had ordered the petitioners to satisfy that the matter was related to public interest and remove certain reservations before proceedings of the case. Moreover, Justice Athar Minallah had expressed annoyance over the issue with remarks that “why the court is being approached on political matters while the concerned authority is the Election Commission of Pakistan (ECP).” “There are already many cases pending in the court,” he stated, adding that it was time to strengthen the parliament that could form a committee to resolve the issue. The application maintained that the former president was elected from constituency NA-213, and his property in New York, US, was not declared in the asset details submitted with the Election Commission of Pakistan (ECP). The application has pleaded with the court to disqualify Mr Zardari from holding membership of the National Assembly for not being Sadiq (truthful) and Amin (trustworthy) under Article 62(1)(f) of the Constitution. On January 10, Zaman withdrew the petition seeking disqualification of Zardari from the ECP by saying that he had found more concrete evidence against Mr Zardari and the case must be taken to the Supreme Court.